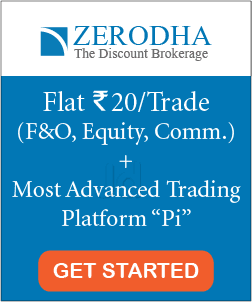 What will be the brokerage charge? say for purchasing a stock of Rs 500? Sure Rohit. I will write an article on that. Glad that it was useful Manjiri. 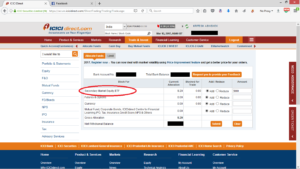 Is it necessary to allocate funds from icici saving account only? 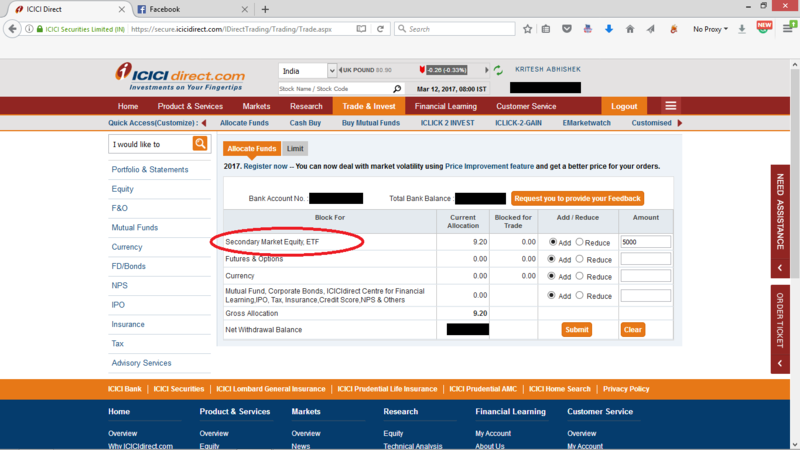 Suppose i have saving account in kotak or citi bank then will i be able to allocate funds on icici direct after opening the account? Hi Suresh. Good question. When you buy a stocks on multiple days in delivery (i.e holding period is more than one day for each stocks), then the stock price gets average out. In your case, the stock price will be Rs [(320*m)+(280*n)]/(m+n), where m & n are the number of stocks bought at Rs 320 and at Rs 280. For example, if you bought ten stocks each time, then m=n=10, and stock price will be Rs 300. Further, when you sell a stock the profit/loss will be decided on average buying price only. For example, if you sell you stock at Rs 350, then the profit will be Rs (350-300) = Rs 50. I hope the answer is helpful. Sir when we buy a stock we set a limit price below the market price for place order .If the market price not down to limit price . What to do we. 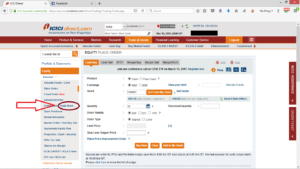 You can modify your order and set the limit price accordingly. For example, let’s say you placed a limit price of Rs 90 for a stock. However, the market price in not coming below Rs 95. In such case, you can modify your order to Rs 96 so that the trade can be completed. Hope this is helpful. what is the meaning of ‘Add to My Cloud’? Yes, you can buy & selling without going to my cloud. 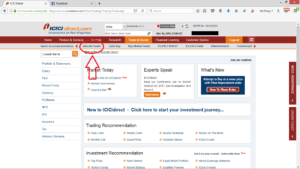 Is it necessary to allocate funds from icici savings to demat account.?? How many days took for day & vtc for selling?? Yes, you have to allocate funds before buying a stock and it can be done withing a minute. The fund transfer is instantaneous. Further, VTC is valid till cancellation and day is for single day transaction. I hope this is helpful. I want to place order before market open, say I want to buy some share in night, so that it will not jump on next day market open and I will catch the share in my desired price. Please share the steps. Hi Banerjee. You can place an AMO (After market order) in which you need to set a limit price at which you want to buy the stocks. The procedure is same as what you follow for buying stocks during market time. However, the order will be placed only once the market is open next day. No transaction is done after market timings. Excellent article, user friendly. I have buy my 1st trade through your article guideline. Thank you. You are welcome, Sami. Glad its helpful. your views are really informative and helpful Kritesh. Just a query like can you help me understand different order type like day ,IOC & VTC. how different are all of them. VTC = Valid Till cancel (the order will be valid for that day and upcoming days until canceled). Hi Nilesh. You can place an order through an AMO (after market order) before the opening session. 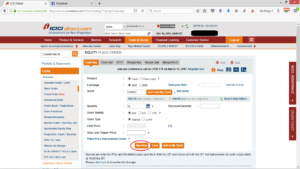 If a trade match is found during the order matching period in the pre-opening session, then your order will be complete. I hope it helps. Hey. My question is how many days or hours it takes once you the place the order for shares to arrive (reflect) at your account. Because if I want to sell it the next day (suppose price is up next day), can I place the sell order then ? My experience is that it takes 3-4 days for shares to reflect in your account so you HAVE TO WAIT for that period before you can even think of selling them. Please guide. Indian stock exchange follows t+2 settlement rule which means it takes 2 days to reflect the stock in your account. You can sell the stock one received. Nevertheless, yes, you have to wait till then. Hi Pavithra. It takes 2 days for the stock to get credited to the demat account. Therefore, you cannot sell the stock next day. However, if you are doing an intraday trading, you can buy and sell on the same day. I hope it helps. Cheers! I am new in trading and i have some amount in allocated funds but i am unable to reduce that amount from there?? You can decrease the allotted amount by going to ‘Allocate funds’ options and decreasing the amount. 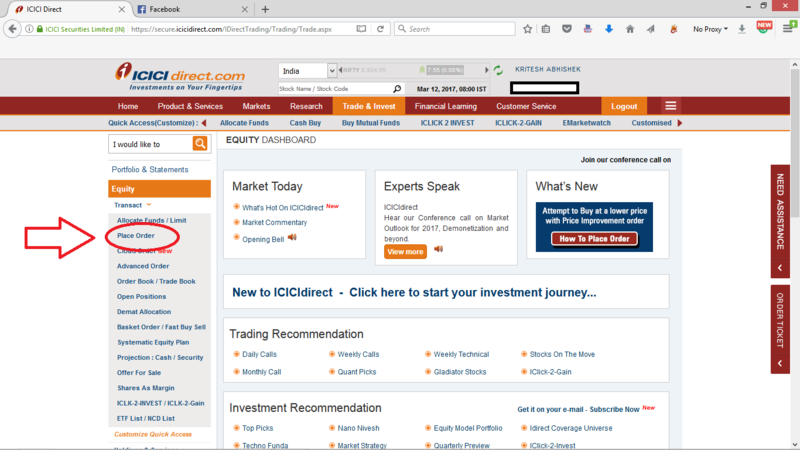 Please suggest me how to sell stocks in ICICI Direct? Hi Kritesh.. very nicely described for newbie. And borker’s contact details are given. I would like to place and sell orders myself. How do I take control of my account. Hi Ridhdhi. In your case, your account might be mapped with a sub-broker of ICICI securities. 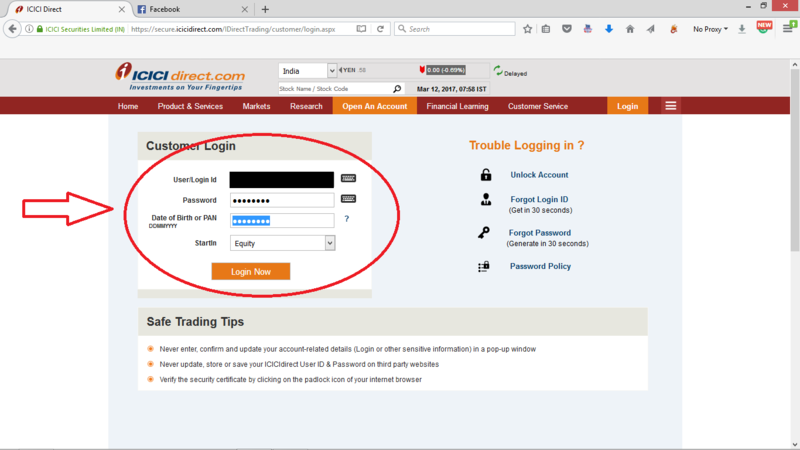 You need to call ICICI direct and ask them to provide trading credentials. As your account is already open, it won’t take too long. Hi Chandan! You can check your holdings in the portfolio section. Further, also check the trade/order book to confirm the transaction. I hope it helps. Happy Investing. Hi Sunita. Here’s an article on how to do intraday trading using ICICI direct — http://content.icicidirect.com/newsitecontent/institute/equities/basics_on_stock_market_13_margin_made_ezee.htm I hope it helps. Cheers! Just a simply query I have, if I buy a stock under VTC option and if it executes after 1 hour, now if I want to sell that stock on the same day, can I do it? Hii..kritesh I m new in market wanna know if I want to hold my stock investment for longer time than 45 days through vtc what I need to do? 2. Will I need to sell my shares within the time period of vtc..what if I don’t? Do we have brokerage deduction on cash sell also? If we have could you tell me how much it will be. You articles are very helpful. And undoubtedly it is giving clarification which we exactly need. Can you provide some link to under stand all terms used in icici direct mobile app. There are plenty of options. 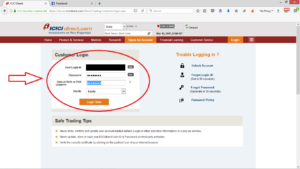 I would like to do my trades with utmost effectiveness with icici direct mobile app. Example cash buy is ok , also there is flexicash option? What’s is that meant. Similarly there are many tabs. Hi Vijay. Here’s a video regarding the basic walkthrough of ICICI Direct Mobile App– https://www.youtube.com/watch?v=FyCcQBjHps8 I hope it helps. Cheers!! 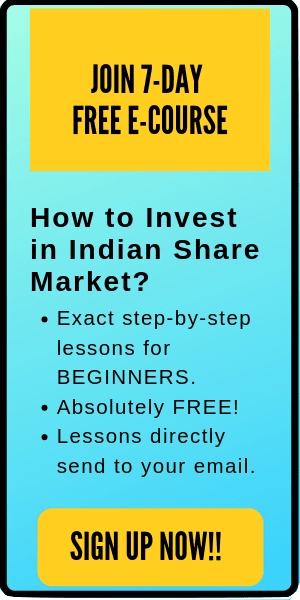 You hv mentioned about an online course for newbie investors here which is not open for enrollment now. When will the enrollment start? im very confused with day,ioc and vtc. just want to confirm, if i need to buy stocks now and keep it for long term, which is the option i need to select, DAY/IOC or VTC. Hi Rahul. As you know that the price of stocks keeps on fluctuating. Let’s say you placed a limit order to buy a stock at Rs 90. However, the price of the stock is fluctuating between Rs 85 to 95. Now, when your order amount matches the current market price, the transaction is done. If you place a day order, your order will be valid for a day. Throughout the day, whenever your order price matches the market price, the transaction is done. Else, it will be canceled at the End of the day. On the other hand, IOC is immediate or cancel and VTC is valid til canceled. In your case, select the day option. It will work well. I hope it helps!! Cheers!! 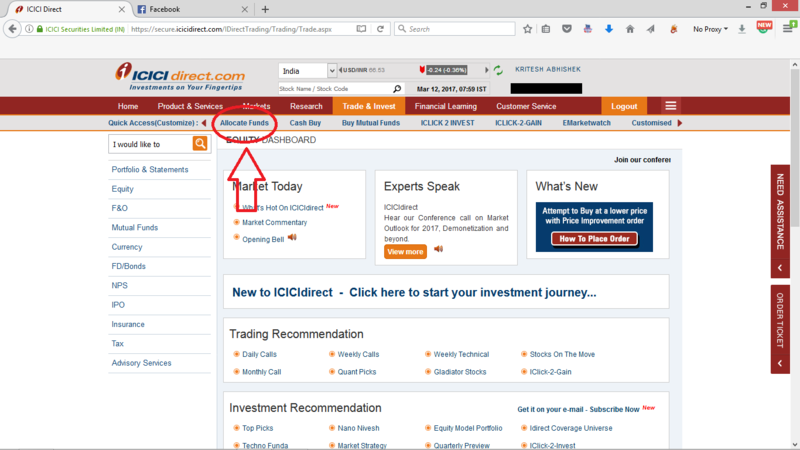 how to sell the shares in icici direct. kindly provide the link like link how to buy link. 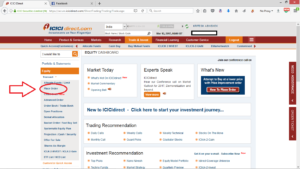 How do i check my balance on demat? I have allocated 4000rs initially and purchased few odd shares summing upto 2500rs. Where do i see the balance amount ? Hi Rahul. You can check the balance fund in the allocated amount. Suppose, I sell some shares on day One. It sold on the same day and deducted from my portfolio on second day and money deposited in my SB Account on Fourth Day. Is it possible that I got the money in my SB Account on second day? I mean they take some charge and do the process faste. Hi Thomas. 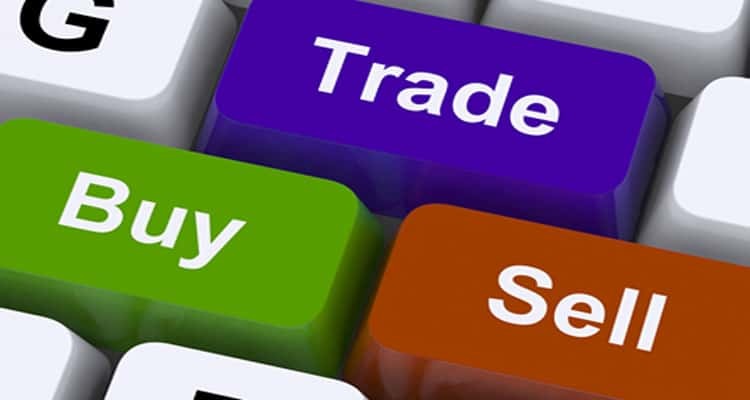 The procedure takes 2 days to transfer shares from one demat account and credit in the account of the buyer and settle the complete cash transaction. No.. it’s not necessary to allocate fund if you have 3 in 1 account as money gets debited directly from your account when one buys stock. But since there is minimum average balance (MAB ) policy in ICICI General saving A/c you have to take care of the same if your DMAT a/c is attached to it.